Surround sound systems for home use have been upgraded through the years. These days, homeowners can easily replicate the authentic theater experience in their own home by means of a high-quality setup. In order to have the best home cinema system, you have to plan carefully and invest in worthy components. You can find a good product by reading reviews since reviews contain a good wealth of information about the advantages and disadvantages of the product. 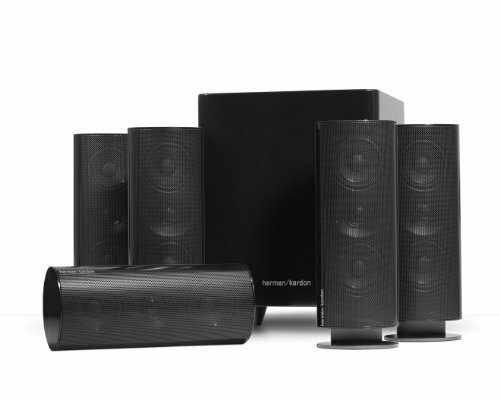 For starters, check out this review of the Harman Kardon HKTS 30BQ 5.1 Home Theater Speaker System. This Harman Kardon product bears a truly minimal design that you’d think it does not deserve such a higher price. However, if you examine the items carefully, you will notice that these are not ordinary, flimsy things. The package comes with excellent silk dome tweeters and its speaker terminals are strictly made of durable metal. It is the cylinder, spring-loaded type which is always present in high-end satellite and subwoofer systems. The unit comes with 4 similar satellites, a subwoofer, and of course the center channel speaker. Even though the center comes with similar driver range as the satellite speakers, the waveguide of the tweeter is constructed in a different way for the best possible distribution of sound. All speakers come with a silk dome tweeter plus 2 woofers. The top panel comes in an oval shape that stays constant all the way to the bottom, wherein a detachable plastic platform hides the terminals of the speakers. Apart from the non-removable metal grill, the enclosure of the speakers is made with sturdy coiled, shiny black plastic. The subwoofer meanwhile is a tiny covered unit that has a down firing driver with a measurement of 8 inches. It has a great design and comes with a shiny plastic top that compliments the speaker’s overall design. It gives a selection of LFE and stereo inputs. The setup comes with a number of controls, including a bass boost switch to further improve low-frequency performance. The package also includes zip cord cables in black, precut to a length of 13.1 ft. for the center speaker, 32.8 ft. for the surrounds, and 16.4 ft. for the left and right satellites. The cords have a 16 gauge thickness and come with soldered tips suitable for speaker terminals and binding posts featured on most audio and video receivers. By ridding the requirement to cut cords and get rid of its tips, installation is even faster and simpler. The company also offers tags with color codes on them so users can easily indicate one channel from the other channel. The system also comes with a subwoofer wire bearing a purple plug. All you need now is a display, an AV receiver, and/or a DVD or Blu-ray player and you now have a complete home theater setup. For the price it was provided with, this system has excellent sound. The inclusion of a high-quality tweeter and 2 75-watt midrange drivers is a joy to behold. The subwoofer has excellent quality as well and it performed great on all kinds of audio. Other than that, the system just looks great too. This is a nice system to have on hand if you have limited space at home. The setup is pretty small and it can fit in living rooms appropriately. The minimalist, modern design it comes with will look good with contemporary television sets as well. All in all, this is a good choice for small apartments and condominium units because of its compact size. The construction is very good, it is provided with wall mounts and precut wires, the high-frequency worked great and it gives clear, crisp mids so you can hear movie dialogues perfectly. This is a great system if you like movies with plenty of dialogue. One of its drawbacks is that it lacks 120-200 Hz frequency performance, so music quality is somewhat lacking. The subwoofer it comes with cannot manage some frequencies as well. Lastly, the system cannot be used with a banana plug, which could cause some disappointment. The Harman Kardon HKTS 30BQ 5.1 Home Theater Speaker System is a good choice for a home theater setup, but it is on the expensive side. If you cannot splurge on such a product, you have to settle for another model. There are lots of quality affordable home entertainment systems being sold right now which can give you sufficiently worthy image and audio quality. This product comes with excellent construction and surround sound items that will enhance your movie-viewing experience.